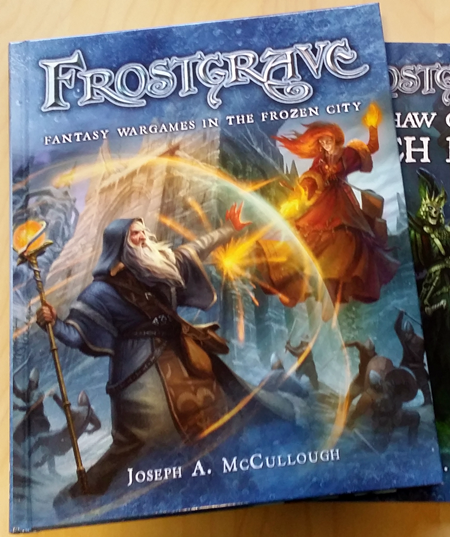 In getting into Frostgrave (which I first wrote about here on Yore just a few days ago), I’m basically going from zero to Frostgrave — I don’t have stuff from other games to pilfer to use for this one. 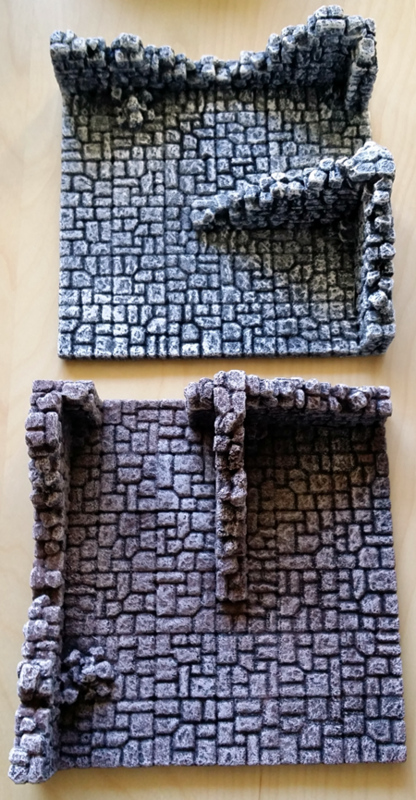 I’m not a minis — or terrain — painter by nature, so along with buying Pathfinder Pawns to use as minis, I also want prepainted terrain. Which shouldn’t be a problem, right? 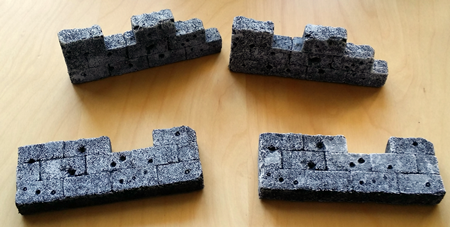 There has to be tons of prepainted terrain out there . . . right? Not really! 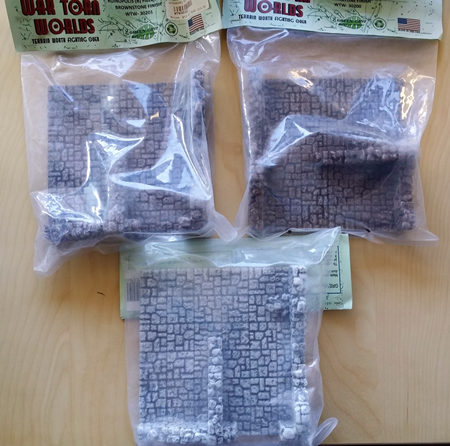 Most of the good options I found are either not ideal for Frostgrave (Dwarven Forge) or are out of print (Battlefield in a Box, which does have tons of non-fantasy stuff, War Torn Worlds, and Terraclips). War Torn Worlds actually appears to be out of business, despite a functional website — their email address bounces, and their phone number is out of service. 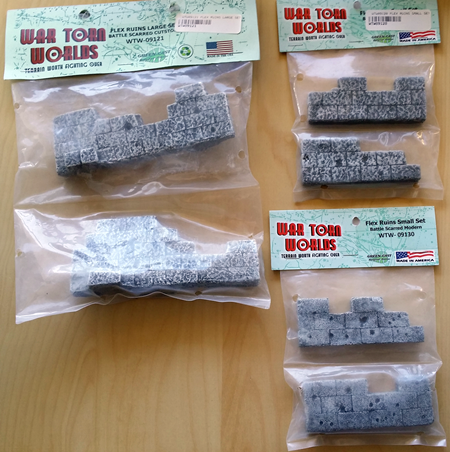 So I haunted Ebay and spent a bunch of time poking around in dusty corners online, and I was able to turn up a sizable stash of War Torn Worlds stuff at Wondertrail and a smaller stash at Noble Knight. Wondertrail’s inventory looked suspiciously well-stocked, so I called them to ask what they actually had on hand. They were lovely to work with, and I ordered most of their stock (and Noble Knight’s). It looks just how I expected: like it’s been sitting in a dusty back corner of a brick-and-mortar hobby store’s inventory for several years. Which is fine by me! Only the bags were dusty. The terrain inside — which is made primarily of recycled tire rubber — is brand new. 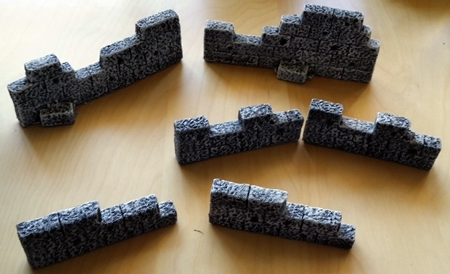 The main thing I ordered were sections of Ruinopolis, WTW’s line of modular ruins tiles. 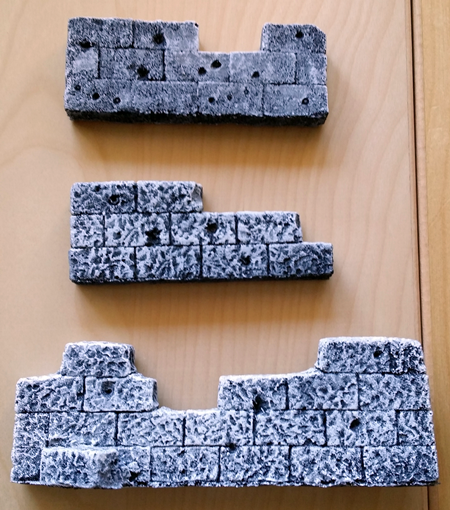 They come in three finishes that I’m aware of, and gray and “brownstone” both looked like a good fit for Frostgrave. Gray says “fantasy ruins” a bit more loudly, but beggars can’t be choosers — and in any case, when I look out my window the buildings I see don’t all match. To my eye, the gray and brown tiles go just fine together. I figured that in a game with spells like Grenade — not to mention Frostgrave’s weird denizens and phenomena — battle-scarred walls, even modern ones, wouldn’t look out of place. They look pretty sharp up close, too. All in all, I’m thrilled with the War Torn Worlds line. 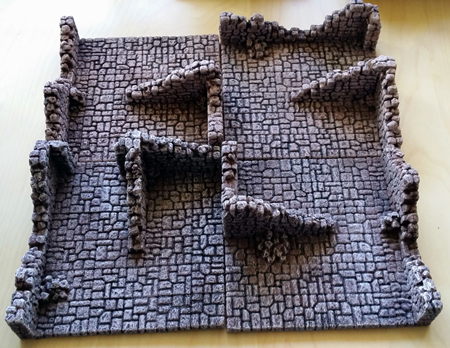 I can’t wait to see how it looks on my battle mat (a square of white felt, at least to start with), and mingled with my other terrain. In addition to looking good, it’s also light and durable. That’ll make it easy to transport and forgiving of bumps, which I like. It’s a real shame that it’s not more readily available, and — assuming I’m right — that War Torn Worlds went out of business. Reasonably priced prepainted terrain is a boon to folks like me who can’t be arsed to paint things, but who still enjoy miniatures games. I also found some good Battlefield deals, which haven’t arrived yet, and one or two other things. 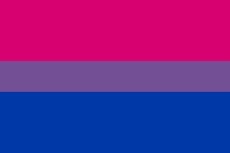 I’ll probably wind up posting about them here sometime down the road. What a great idea and a great find! Thanks for sharing.